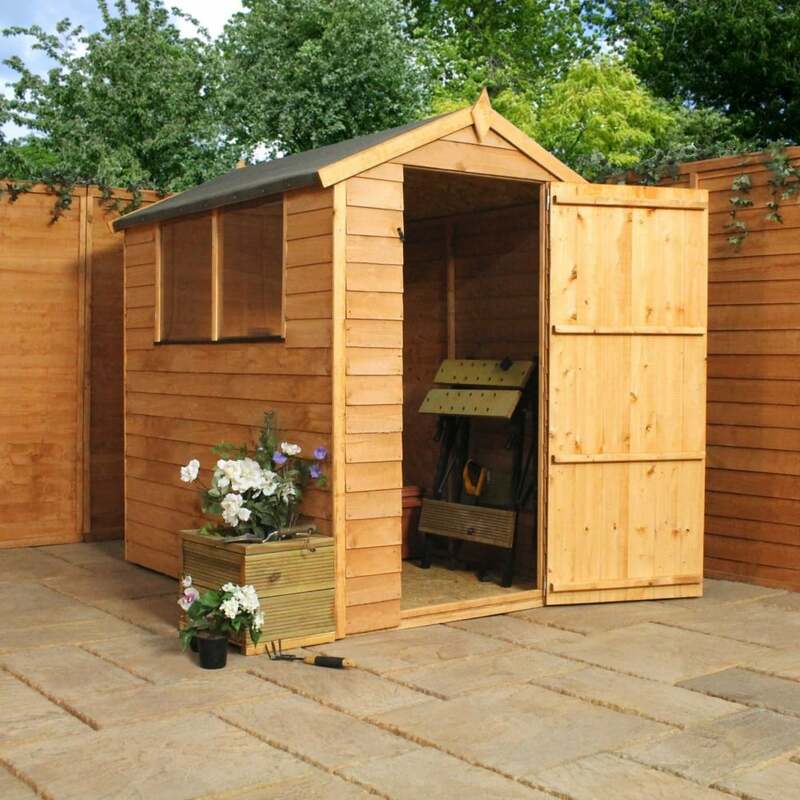 Mercia 6 x 4 Overlap Apex Shed Single Door: The Mercia overlap apex shed offers a traditional design at an affordable price, guaranteed to suit all budgets without compromising the quality. The Mercia shed features a 28mm x 28mm interior framing for a sturdy structure with 7mm overlapping cladding allows water to run off the building. The Mercia shed has an apex roof design to provide added headspace and comes with solid sheet material roof and floor. The 6 x 4 Mercia shed features a ledged single for extra strength and features a turn button butterfly door catch for added security.